I think I've changed my mind, and decided that the kingdom dance is my favoriete scene, because for some reason I watch five times a dag and sometimes even more! I just can't find the right word to describe this scene! AMAZING? WONDERFUL? MARVELOUS? MAGNIFICENT? Thank u Disney! for making this movie <3 and specially this scene. and yes thanx disney for making a movie like that I hope they can do meer !!! 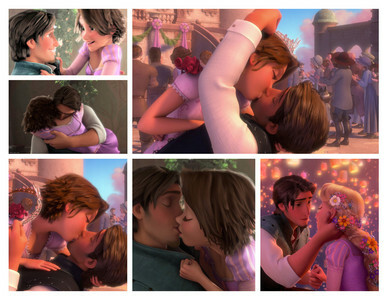 I love this scene just like u ^^ after everytime I saw these scenes in the kingdom, I sighed excitedly!!!! When will my life begin? I love that song!! It's my favoriete part!! 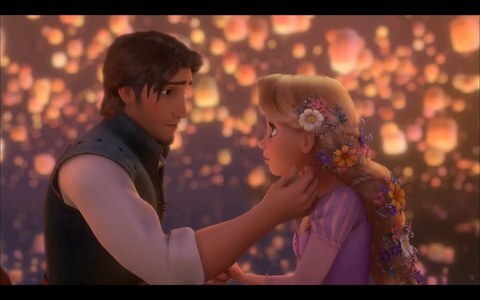 Um, Walt Disney didn't make Tangled. In case u haven't noticed, He's dead;) But yeah, THANK u DISNEY FOR MAKING TANLED! It's also funny to watch Flynn's expressions throughout the song.